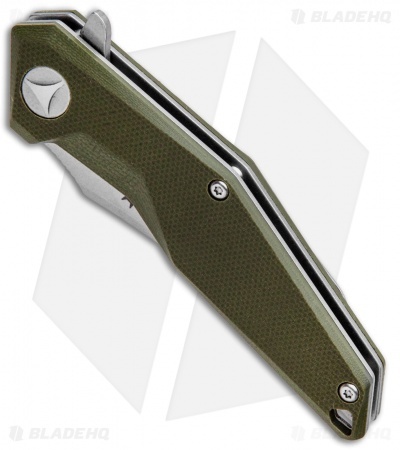 The Black Fox Kravi Shai is an EDC design equipped with a unique modified recurve blade. 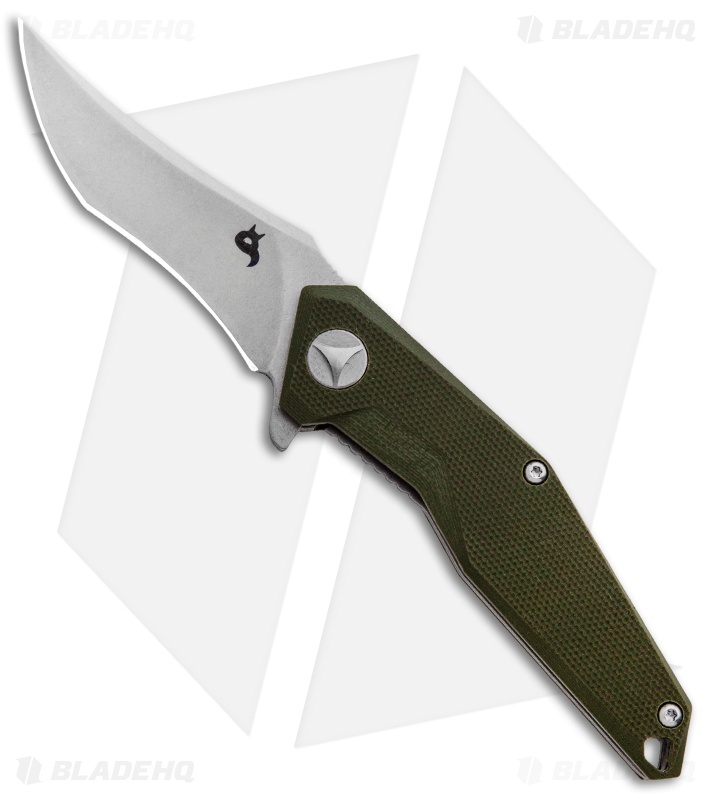 This model is built with a stonewashed 440C stainless steel blade that rides on a ball bear pivot for smooth flipping action. 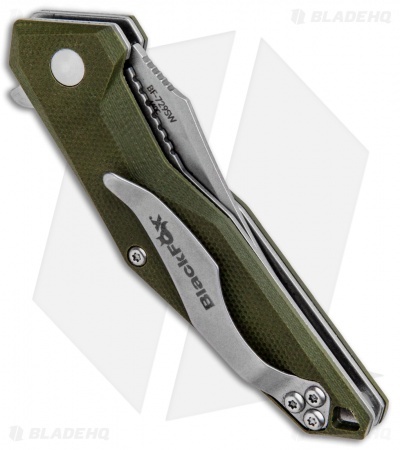 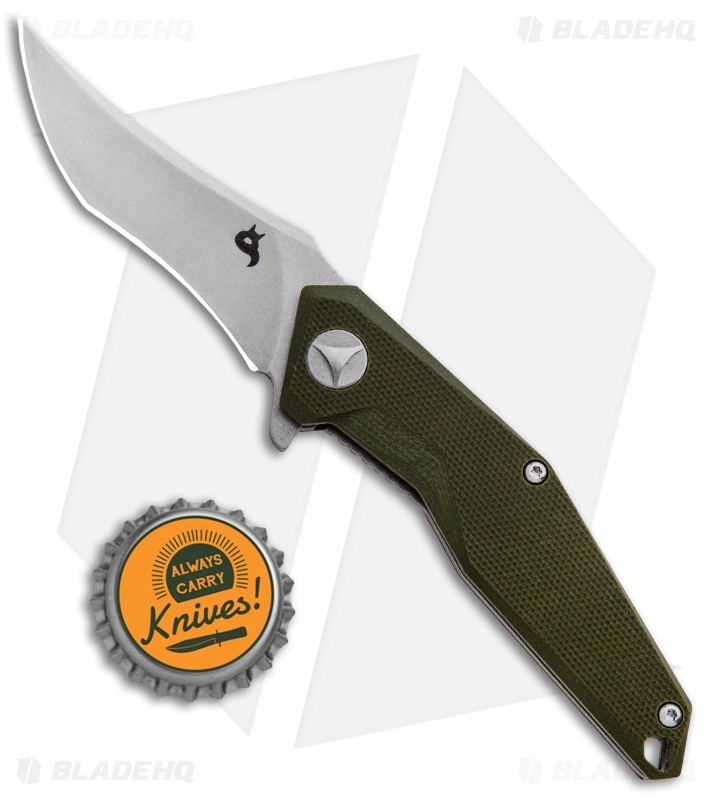 Its handle is clad in textured green G-10 for a secure grip. The Kravi Shai comes with a stainless steel pocket clip for tip-up everyday carry.